YouTube, the most prominent video platform in the world, is not only a place where people upload videos on various topics and subject matters anymore but has gradually turned into a business or professional opportunity. YouTube is a platform where anyone and everyone who wants to pursue a profession in video making can use this platform to showcase their work to the world in the most cost-effective yet result-yielding way. Apparently, with this opportunity provided by YouTube to people wanting to pursue a video-making career, a new profession called YouTuber, a term for people who produce, upload or appear in videos posted on YouTube, has originated. It is becoming one of the most hotly pursued professions by people who want to present their ideas or unique talents in front of the world. Therefore, YouTube had come up with a YouTube Partner Program that lets creators monetise their video content on YouTube. How? Well, YouTubers can earn money from the advertisements accompanying their videos, and from YouTube Red Subscribers viewing their videos. As easy as it may seem, becoming a YouTuber is not an easy profession. Your content needs to be unique and appealing enough to catch the users’ attention and give you the required views and subscribers to fulfill the guidelines laid by YouTube and in turn, monetise your YouTube account. If this was not enough, YouTube has announced new eligibility requirements for the YouTube Partner Program (YPP). YouTubers meeting these eligibility criteria will be able to monetise their YouTube account. The announcement was made on 20th February 2018 and the time given for fulfilling the eligibility is 30 days. Let us learn more about the eligibility criteria laid by YouTube. The Program applies to every YouTuber in the country where it is effective. Once your channel reaches 4,000 watch hours in the last 12 months and has achieved a 1,000 Subscribers count, it will be reviewed for eligibility to join the YPP. YouTubers can check their watch hours and subscribers count through the YouTube Analytics tool. If your channel does not meet the threshold, it’s time for you to gear up and reach your targets before the deadline ends. While these are the mandatory conditions, YouTube will certainly consider factors than the quantifiable ones, like the suitability of the channel for monetisation that will be judged using signals like spams, community strikes and other abuse flags to protect the Youtuber community from the spammers. Moreover, YouTube has advised all the creators to follow YouTube’s Terms of Service, Community Guidelines, Monetisation Basics & Policies and the Google AdSense program policies to avoid account removal from the YouTube Partner Program on account of violation of terms. This comes as a challenge for marketers all across the world to keep their operative by meeting the eligibility criteria laid down by YouTube for video monetisation. However, we suggest that you convert this challenge into an opportunity for your brand or business and make the best use of this video platform to practice targeted marketing. Marketers must create more targeted content to cater to their target audience through exciting and informative videos that can not only increase your channel’s watch hours but, also boost your subscribers count as you are creating specific and targeted content. Marketers can leverage video marketing to respond to the needs and requirements of their target audience by combining this strategy with the inbound methodology. Marketers must formulate their video marketing plans to create videos around the various stages of the buyer’s journey so that they can be available throughout the buying process. Following these tips, marketers can meet the eligibility requirements set by YouTube for video monetisation. 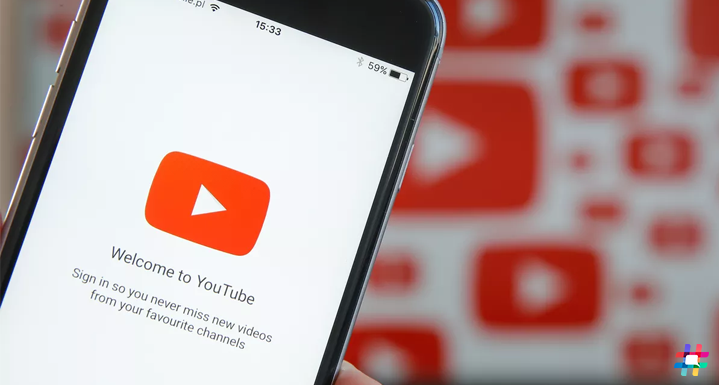 YouTube has taken this step to provide its viewers with quality content, encourage creators who contribute positively to the society and prevent potentially inappropriate video content. Therefore, YouTubers must use it to their advantage to create original, informative and valuable content to contribute their positive views and ideas to the community.